Nahanni has experience working on industrial projects throughout the North. We specialize in remote and cold-weather jobs providing services including, but not limited to: : concrete, civil, mechanical, fabrication and steel erection, electrical /instrumentation, and project management. We have proven abilities working on remote mine sites, above and below ground, and an impeccable safety record on all of our projects. For a better sense of the scope and scale of what we are capable of see some of our work. 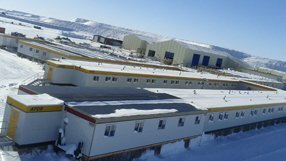 Nahanni also provides commercial construction services. From foundation to structural steel and more. We have worked on countless commercial projects in our 25 years. Our ability to mobilize equipment and staff allows us to provide quality construction services from the planning stages through completion. 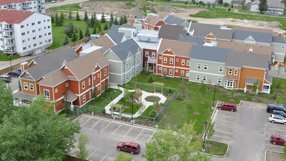 We have worked on projects ranging from office buildings to arenas and warehouses to highly specialized dementia facilities. Our experience is broad but our work speaks for itself.